Facebook is one of the most profitable ways to market your book. 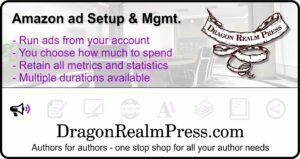 The Dragon Realm Press Facebook experts will run your Facebook ads directly from your own Facebook ad manager account. You choose how much to spend/the duration of your Facebook ads. Do you want us to manage your Facebook ads for longer? We've got you covered. Just drop us a line at info@dragonrealmpress.com to discuss specific pricing options to suit your specific needs. Complete ad set-up, targets, ad copy & graphic. 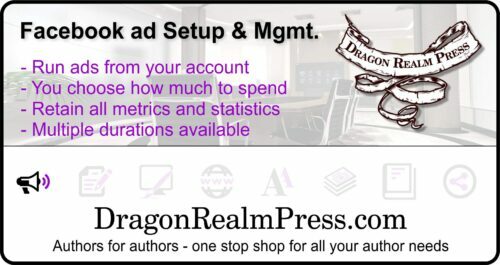 Active management of your ads for the purchased number of days (30/60/90 days), including ad tweaking, targets, ad spend, etc.